TeensVolunteer.org is a website dedicated to helping teens find the latest volunteer opportunities in the San Francisco area. Organizations can post their opportunities for free and teens can easily find an opportunity near them. 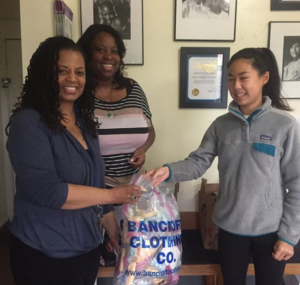 TeensVolunteer.org was founded in May 2018 by Emiko Rohn, a sophomore at Berkeley High School. She was inspired to start the site after having trouble finding volunteer opportunities for a club she co-founded at Berkeley High. 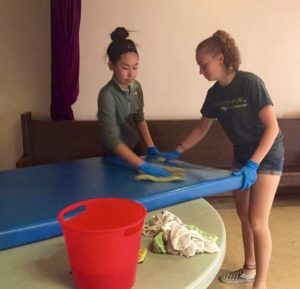 Emi helping clean a local homeless shelter with a classmate. Emi donating 125 hygiene kits her volunteer club assembled for a local women's shelter.